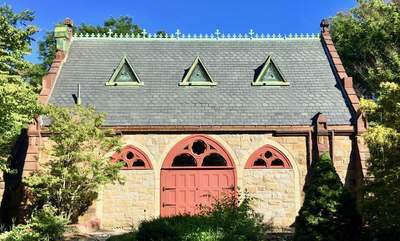 The highly significant and impressive Gothic Revival, stone Dickson Memorial Chapel (1894), was designed by Newton architect George Meacham. 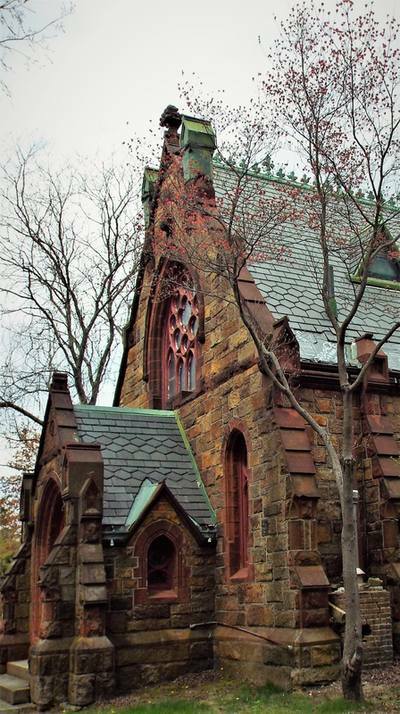 According to Bryant Tolles, this building is Salem’s only High Victorian Gothic work of architecture. He states, “Of modest scale and pretentions, the Dickson Chapel is constructed of seam-faced, light-brown granite, with trim of olive stone and Cleveland cream-colored sandstone – this poly chromatic combination of differing stone types is a major characteristic of the High Victorian Gothic style. Also typical is the heaviness of such details as the pointed-arch door and window frames, wall buttresses, window tracery, finials, and other carved ornament. 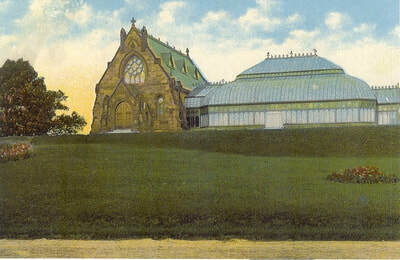 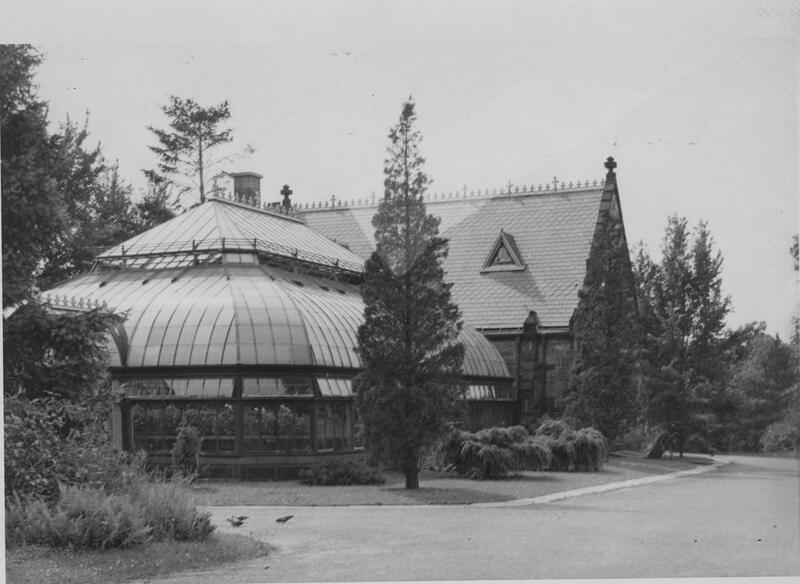 Unlike the more fragile details of earlier Gothic Revival buildings, those of the Dickson Chapel tend toward coarseness.” An adjacent conservatory was built in 1934. 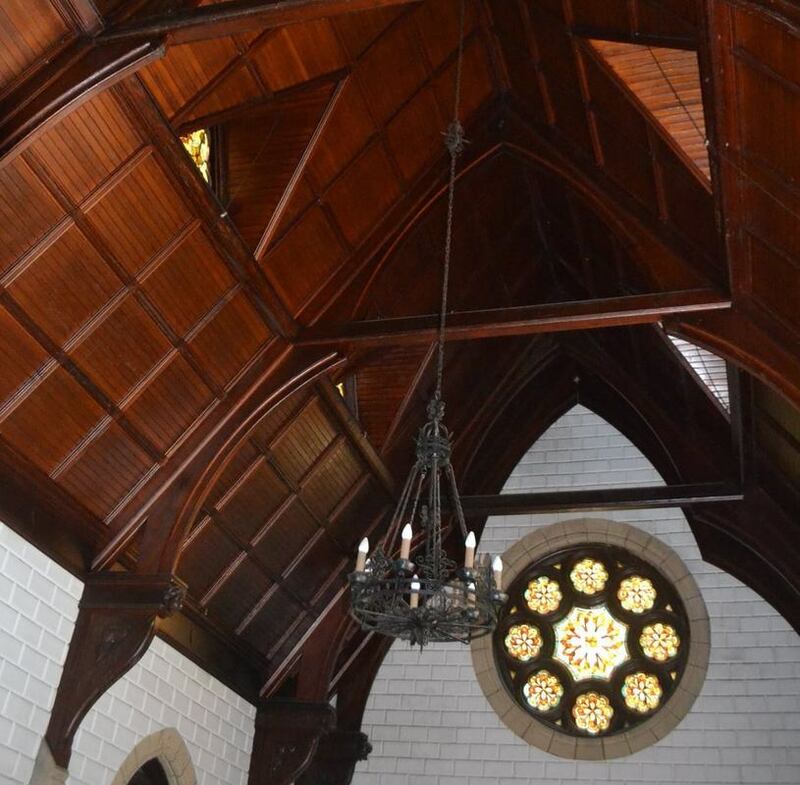 In accepting the donation of the chapel from Walter Scott Dickson, the City agreed that the chapel will be utilized as a memorial chapel in perpetuity. As of July 2015, Greenlawn Cemetery was listed on the National Register of Historic Places! 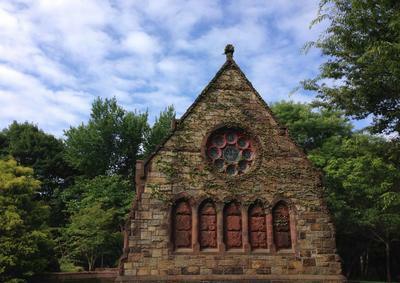 Following the conservatory’s removal in 1982, the interior of the Dickson Memorial Chapel suffered deterioration due to the lack of a heat source, resulting in crumbling interior stonework and ornate carvings, as well as ongoing cracking problems with the 10’ doors, which are not weather-tight and pose security problems. 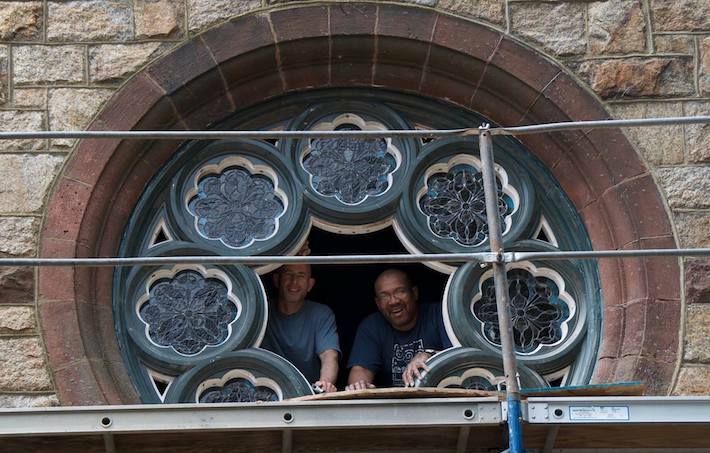 According to the 1998 Historic Preservation Maintenance Plan completed by Finch & Rose for several City-owned properties, the chapel “has significant masonry deterioration problems and requires comprehensive repairs to gutters, downspouts and flashing's, as well as the heating system; once these problems are corrected, the building could be returned to use for memorial services which will be the best way to ensure its long term preservation.” The City has attempted to arrest the deterioration by installing what is now a less than adequate heating system and by making repairs to the slate roof and restoring the stained glass. The Friends of Greenlawn Cemetery group was formed to help restore, beautify, and maintain Greenlawn Cemetery, now and in the future, through grant funding and public awareness. 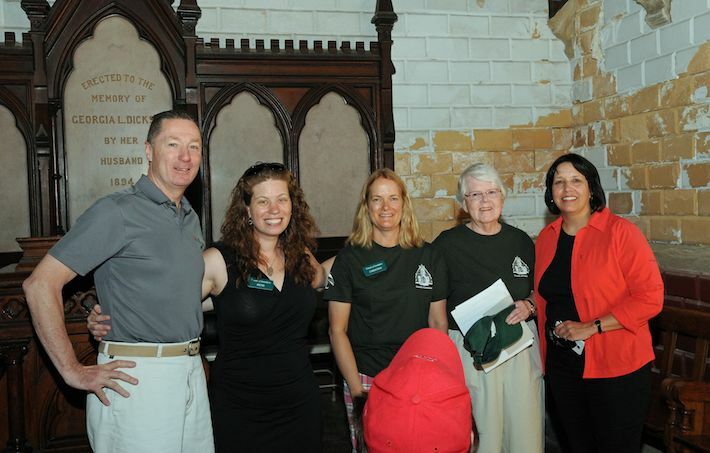 The volunteers who make up Friends of Greenlawn Cemetery have been putting a significant amount of equity - both financial and sweat! 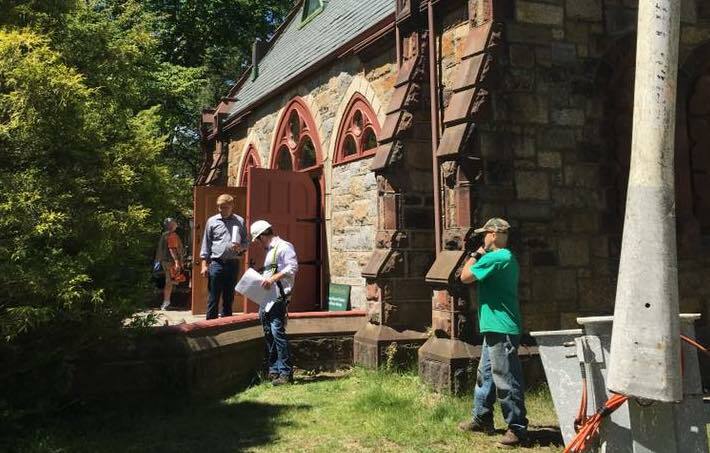 - into restoring and maintaining the Dickson Memorial Chapel. 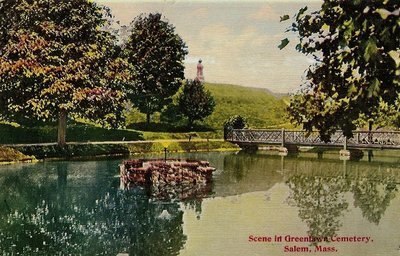 From securing grant and CPA funding to recruiting volunteers to clean and engage with the site, Friends of Greenlawn continues to support this North Salem asset.